16/11/2009 / Be the first to comment! / Be the first to like this! 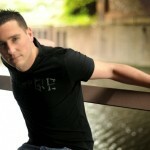 This month's guest is Fast Distance ( http://www.myspace.com/fastdistance ), among the most popular producers in Belgium after being heralded by Armin van Buuren as "one of his favorite trance artists!"